Here’s a thread where you can vent about the budget, should you so desire. Peter Martin has a handy list of what we already know, which is quite a lot. Ross Gittins tells us what not to believe. He reckons they don’t use the appropriate accounting methods to add up the figures. He also says not to obsess so much about deficits. It is the government’s responsibility to borrow to spend on infrastructure and other good things. John Quiggin posts on the tax cut to those earning $80,000 or more. Apparently about 3 million will get a bit. Most of them either vote Liberal already, or wouldn’t be impressed enough to change their vote. Maybe it’s just so that Turnbull and Morrison can spruik “tax cuts” and that’s the cheapest way of doing it. Seems Morrison thinks the average worker gets $80,000, whereas the median full-time worker gets only $45,000, which would be more ‘typical’. That’s if everyone had a job who wants one and we ignore part-timers who would like to work full-time. Paula Matthewson reminds us that the budget in this context will be a highly political document. Labor will be depicted as the spendthrift, irresponsibly ratcheting up taxes but still spending more than it earns. The Coalition’s decision not to tamper with negative gearing clears the way for it to depict Labor’s reforms as a tax increase rather than a housing affordability issue. This will be a compelling argument for voters still disposed to the view that Labor cannot be trusted with the keys to the Treasury coffers. The Ipsos poll found just a few weeks ago that only 25 per cent of voters said they believed Labor had the best policies for managing the economy, while 43 per cent nominated the Coalition. We will likely see in Bill Shorten’s budget reply later this week how Labor intends to deal with that perception deficiency. And then voters will be off to the polls. She thinks the final decision could rest on which party voters distrust the least. Unfortunately the one thing we won’t have from our politicians is a mature debate. 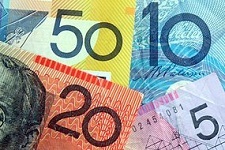 Reserve Bank has lowered the cash rate to 1.75%, it’s reported. The Government says it’s all about jobs and growth, Labor says it’s all about fairness. Morrison sounded as though he wanted to send us all to sleep so we would miss any bad things hidden away. Bowen looked good during the Leigh Sales interview. DiNatalie and Xenophon looked better than Morrison. Ambigulous, as Alan Kohler said, the Reserve Bank is clearly more worried about the economy than Scott Morrison is. I think Nick Xenophon had it right, treading water and hoping to scrape through the election. Also Richard Di Natale. Not mentioning the transition to a clean energy economy is a sick joke. I think the 2014 nasties are still there. You know, 20% cuts to universities, $100,000 degrees and such. Alan Kohler on ABC News 24 was clearly in shock. I would have liked to hear more from him. Morrison got lucky on the iron ore price going up from $39 to $55. Means more revenue. But while they were telling us that a news headline trailed across the bottom of the screen saying that manufacturing in China was weaker. There was a story today and recently that backpackers will have to pay 32.5% tax from the first dollar they earn. That’s the rate we citizens pay for income over $37,000. Backpackers are important for tourism as well as agriculture. John, I’d agree. Morrison in the interview looked like a Japanese robot programmed to spout figures like a machine gun, and tended to give answers not very relevant to the question. No-one was better off who didn’t get more than $80,000 p.a.. A sole parent on $40,000 was $2390 worse of compared with a sole parent on $125,000 who was $315 better off. The inequity made no sense because the savings received by the rich were all petty cash while many of the people on $40,000 would suffer a serious drop in standard of living. I did watch the Bludget Speech on ABC-TV. I am deeply suspicious – because – I saw his lips move.